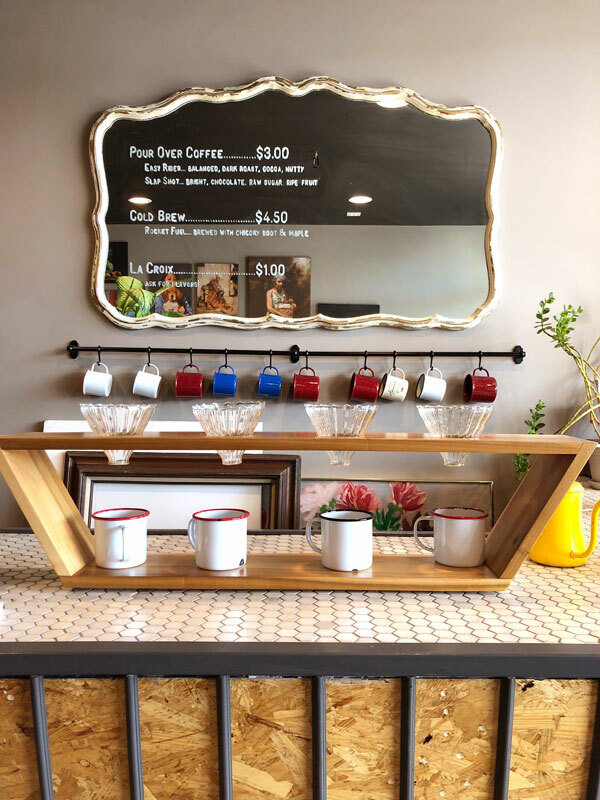 The Art Academy of Long Island is an Art Studio & Café concept space, located right in downtown Merrick. The studio offers formal art training to students starting at ages 8 years old and all the way to up to adults. We pride ourselves on giving each student individual attention, guiding them through their education at their own pace and in a way that will drive sure results. Class sizes are small, the education is personal and the instructors are inspiring! Since we cap attendance at 10 students, everyone gets the benefit of being in a supportive classroom setting with peers, while still receiving personal attention from a teacher. 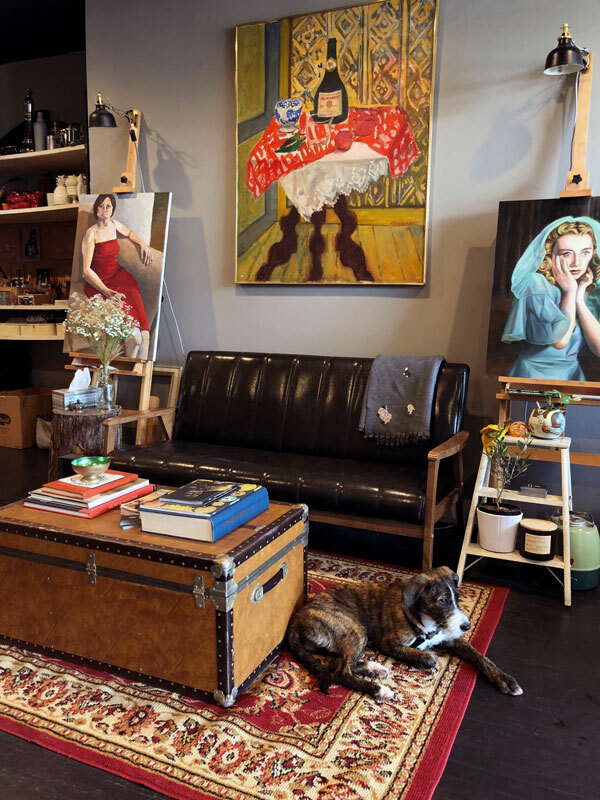 The program was developed by illustrator & portrait painter, Kevin Murphy who runs two of his own studios. 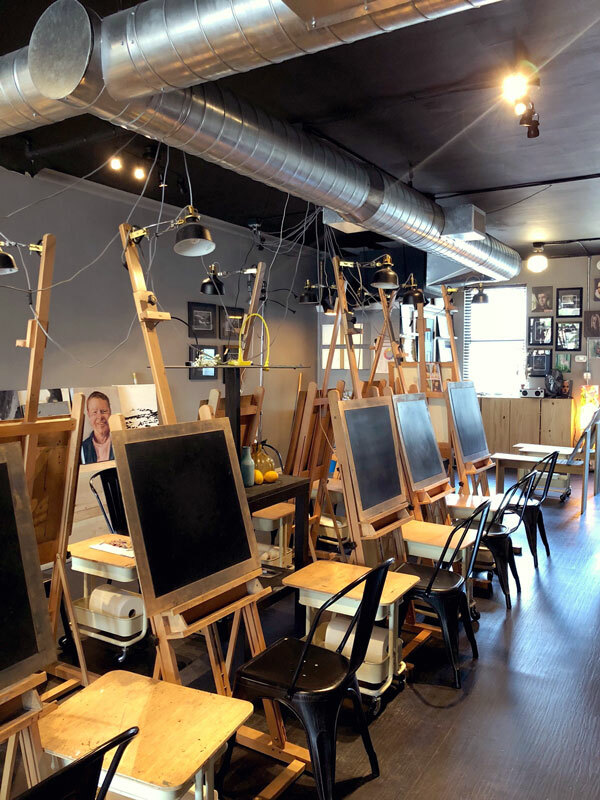 Art Academy of Long Island’s owner, James Anzalone, studied with Kevin for several years at his studio in New Jersey and is now passing on his education to Long Island artists. James believes that with the right drive & patience anybody can absolutely elevate their work with this program; it also provides a truly solid foundation for newly budding artists. 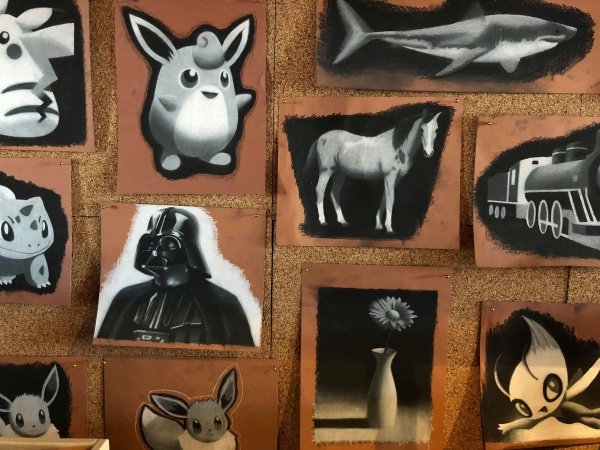 Working in both charcoal & oil paint, students will learn and practice a technique from the ground up to develop a new skill set. Once students have access to this skill it’s time to see what they will do with their new-found ability! While some people are more predisposed to this type of work, talent is absolutely not a magical key ingredient to success– this is for anyone. In addition to the Art Academy program, we offer other activities such as a Summer Camp for kids & teens, birthday parties & private events, live model drawing, and more! James has created a space that is inspiring, relaxing and hip. We are creating a community of local artists, a place for both young and seasoned artists to grow and connect. The studio offers a year-round completely free trial class for anyone interested in learning more about the studio and seeing what the program can offer. Follow this link: https://artacademyli.pike13.com/pack_products/400225 to sign up for a free class!